Since my last post all my fishing time has been devoted to flounder fishing in the harbour, normally by now I would be telling anybody that will listen that this time of year is one of the best times of year to be doing this. However for the last month I have been fishing at least twice a week, midweek and again at the weekend at all my local marks (Rockley Park, Lake Beach, Hamworthy Park and Chalk Road) all for the sum total of three small flounders. We’ve only just had our first heavy set of frosts and the weather up until now has been particularly mild. A friend of mine who tends an allotment claims that all his seasonal crops are late, perhaps the same applies to the seasonal fishing. Maybe in another month the flounder fishing may improve! During a midweek trip to Chalk Road I had set up two rods to fish for flounders, last two hours of the flood. 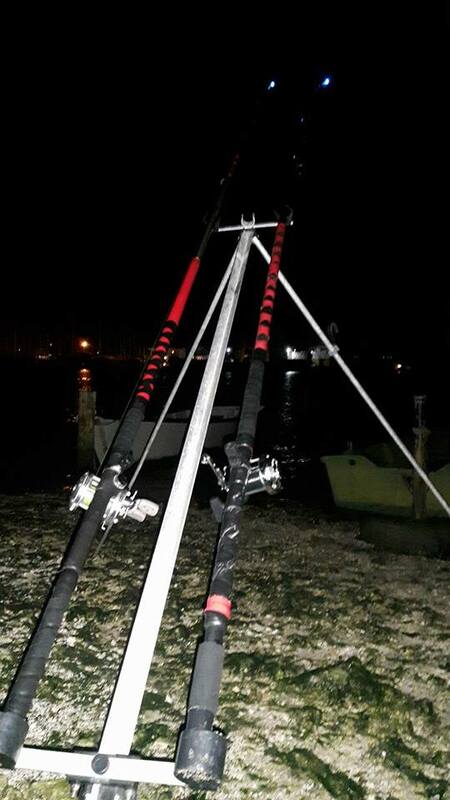 Both rods set up with glowing pop up rigs baited with ragworm, pop up beads to combat the crab problem and glow in the dark to attract the flounders. Chalk Road backs onto holes bay and is all mud and reed margins which is perfect conditions for flounders, but it’s also perfect conditions for the dreaded silver eel. First cast saw a slight tremble on the rod tip, which I hoped was a small bass, however reeling in my worst fears were confirmed. My lovely bling flounder trace had been reduced to a ball of snot by the 6 inch bootlace eel on the end of my line. In these cases all you can do is snip the line close to the hook and the slimey offender unwinds himself and heads back to sea. Second cast the the same another ball of snot. Then another, then another and then when I was considering jacking it in after my 8th or 9th time of replacing snot filled traces I had a much better bite. Could this have been the specimen flounder I had been after? Leaning into the bite the bite felt heavy with a few good thumps I thought this could be the one but no! My heart sunk as I saw another eel spin on the surface in my headlight. But it was still heavy what was on the bottom hook? My heart sank even further as I reeled in two eels at a time. To be fair these were better eels nearly 2lb apiece. At this point I announced my intention to keep the better eels to eat on various social media sites. The quick response surprised me! Upmost at all times whenever I fish is the welfare of the fish. Whether its returning fish healthily or fishing responsibly for species like mackerel. Long gone are the days of taking home sack fulls of mackerel from chesil just because you can! Little did I know the smelly ball of slime, the destroyer of rigs ,everybody’s pet hate second to the dogfish , the silver eel is on the unsustainable list of fish species. It seems the silver eel has hit really hard times in the last 30 years, as well as over fishing from the elvers (the very young eels,which are considered to be a delicacy). 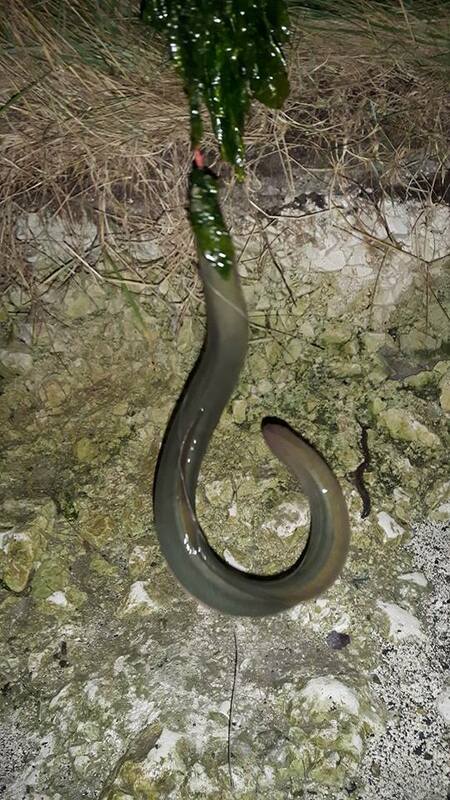 The young eels have to deal with obstacles like river locks and pumping stations which mangle thousands of young eels every year on their migratory path. Coupled with that, they have been hit with a virus that has reduced their numbers down to 1% of the population 30 years ago. All these facts were a bit of a shock to me. I never new the common eel was suffering so badly,maybe one of the reasons is the just don’t get the same press as other fish. Everybody knows about the dwindling cod stock and every man and his dog knows about the sea bass rules now. 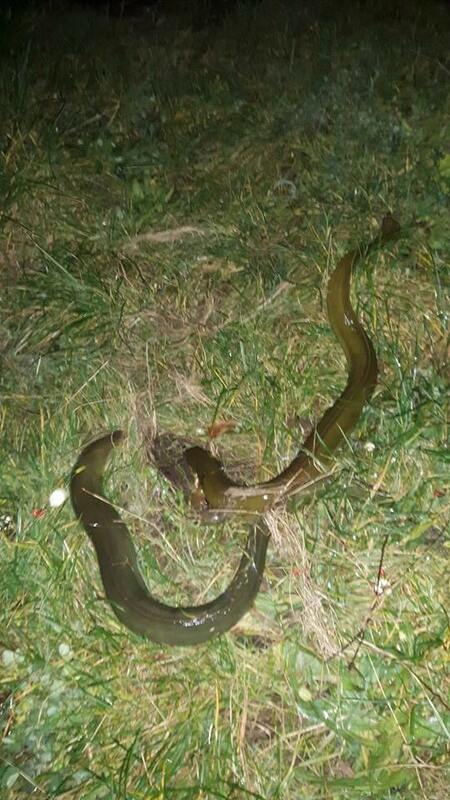 I wouldn’t mind a small bet that most anglers are aware or care about the poor unfortunate Mr Eel. He’s just not popular enough! 2 Responses to "‘Eel’y bad fishing"
Gosh, even worse than a ‘second knuckle’ job!